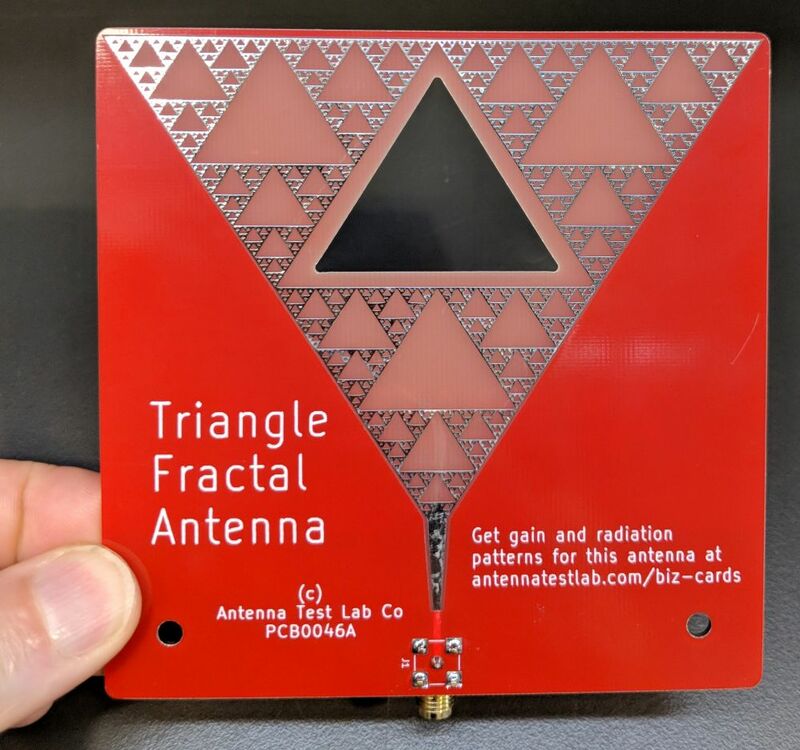 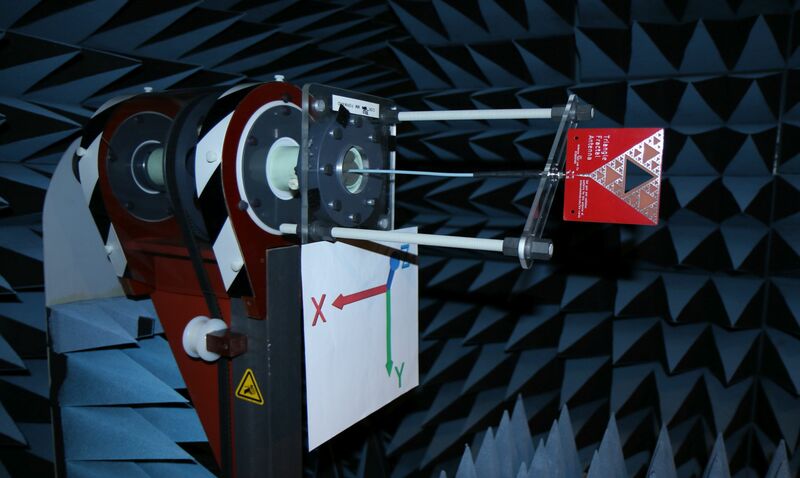 This functional 10 cm “tile” sized fractal triangle pattern antenna works modestly from 1300 MHz to 18 GHz. 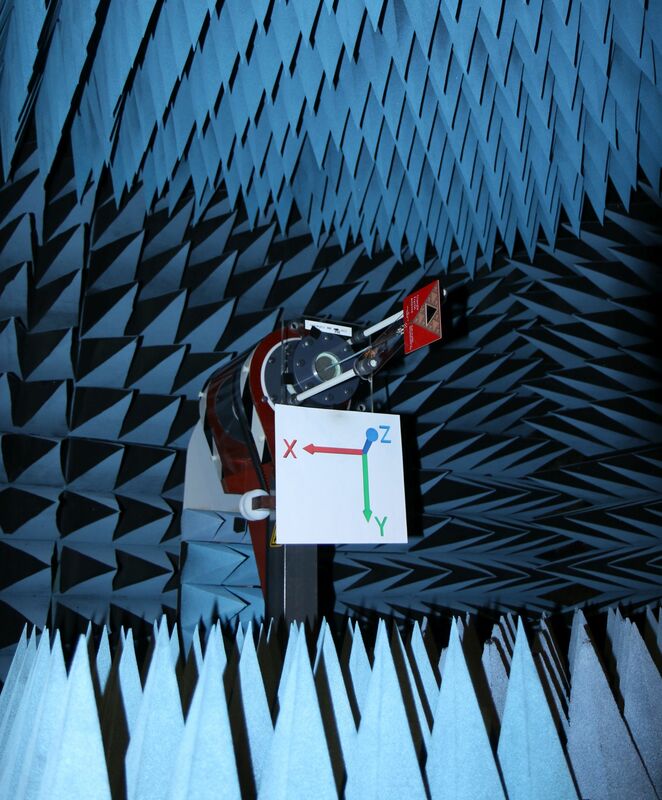 It does not have the ultra broadband return loss “promised” in fractal designs, and this implementation has anti -resonances (high VSWR) around 3, 5, 9.5, and 11.5 GHz. 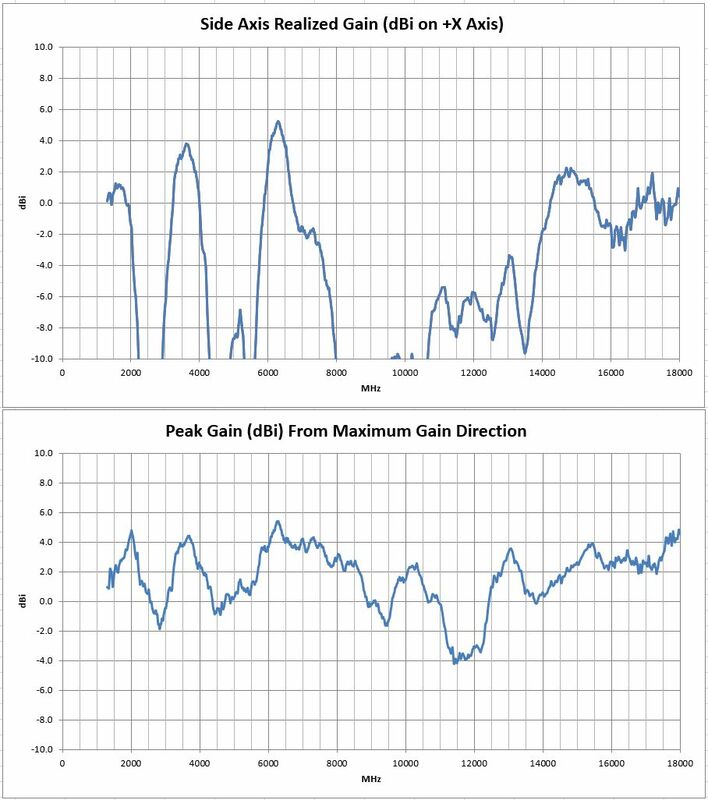 Consequently, the average gain and efficiency also display shortcomings at these frequencies. 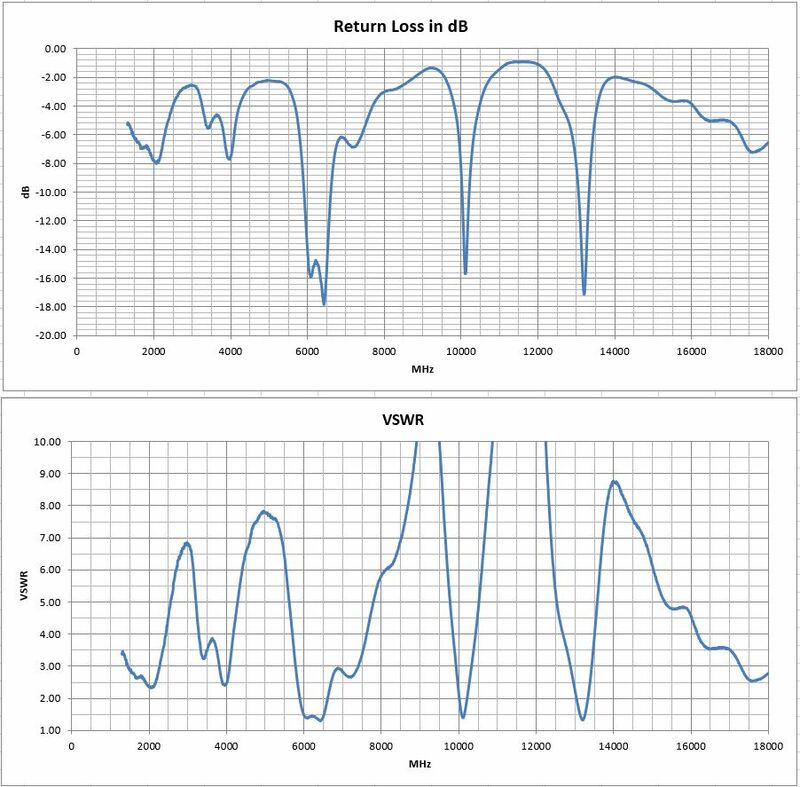 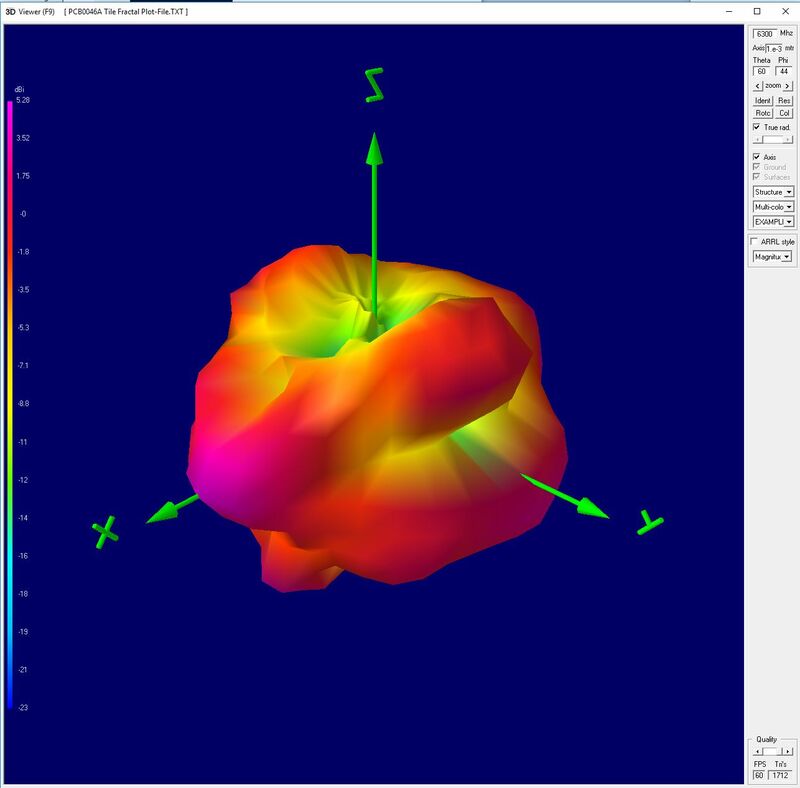 It has sideways gain averaging about 2 dBi as expected from a monopole topology. 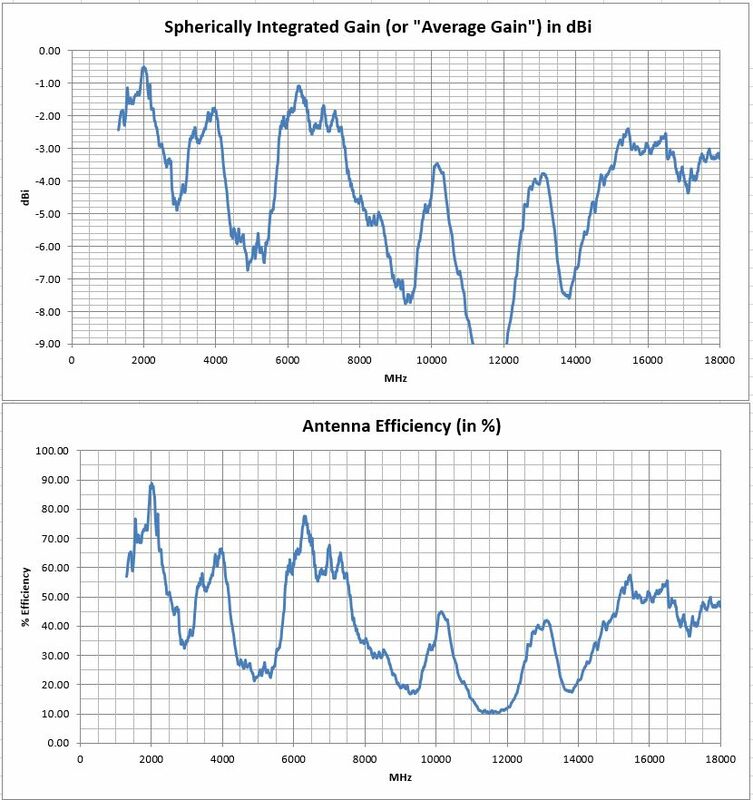 It has peak gain (meaning it radiates in some direction) that is quite broadband, covering the entire 14:1 frequency test range, which is noteworthy !